Mövenpick Hotels & Resorts – Jordan has won two awards at this year´s prestigious World Travel Awards, whose awards ceremony is considered as the Oscars of the tourism industry. This year, World Travel Awards presented Mövenpick Resort & Spa Tala Bay Aqaba and Mövenpick Resort & Spa Dead Sea with the highly coveted Jordan´s Leading Resort 2016 and Jordan´s Leading Spa Resort 2016 awards, respectively. 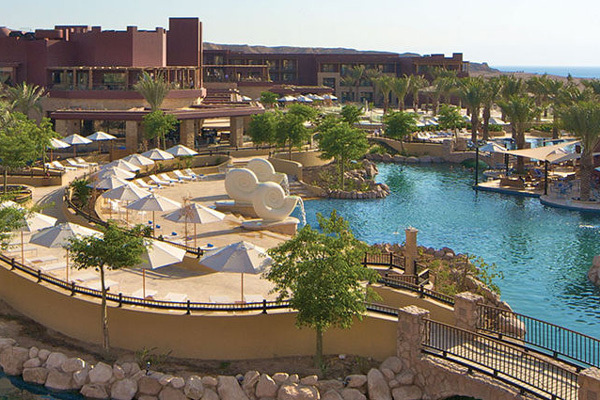 Mövenpick Resort & Spa Tala Bay Aqaba, with its five-star facilities, multiple swimming pools, eight restaurants and bars, and first-class spa situated on a 150-metre-long private beach, won Jordan´s Leading Resort 2016 award for the third year in a row. This consecutive achievements prove the property´s unrivalled prowess in delivering the ultimate in luxurious resort accommodation in Jordan. Meanwhile, Mövenpick Resort & Spa Dead Sea, with its 6,000 square metres of lush gardens, nine indoor and outdoor restaurants and bars, award-winning Zara Spa and breath-taking views of the natural, healing waters of the Dead Sea, won Jordan´s Leading Spa Resort 2016 award for the fourth time. The resort’s continued excellence in delivering the most indulgent and healing spa, wellness and resort experiences at the Dead Sea epitomises the lavishness for which Mövenpick is famous.